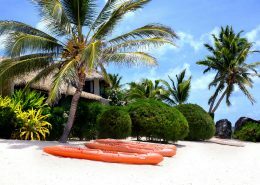 Right on famous Muri Beach, famous for snorkelling, sunrise, lagoon cruising, nearby Te Vara Nui Village. This premium Rarotongan resort has achieved the ideal blend of modern comforts accented with traditional island hospitality. 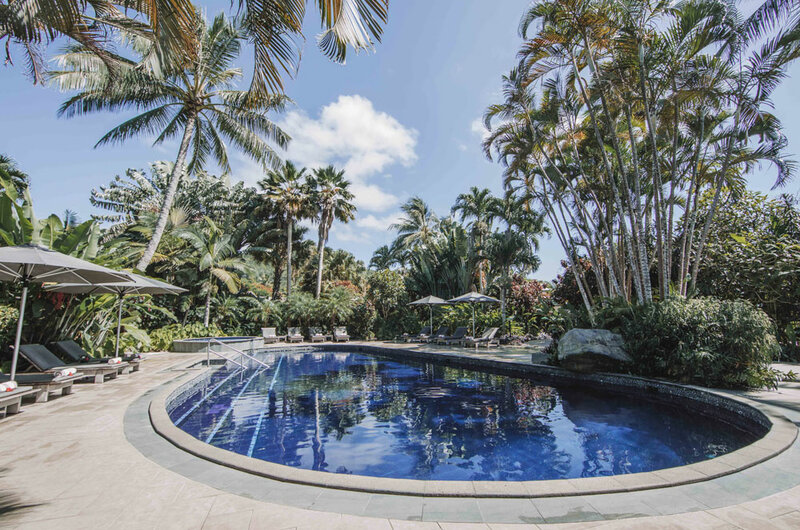 A 4-star boutique resort it is superbly situated on 5.5 acres of manicured beachfront grounds so you are just steps away from water, sand and sun. 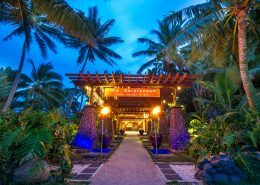 The traditional thatched roof design of the resort’s buildings and tropical gardens ensure it blends organically into the picturesque environment of Muri Beach. With a collection of 64 studios, suites, family rooms and two or three-bedroom villas, there is an accommodation option to suit all needs. 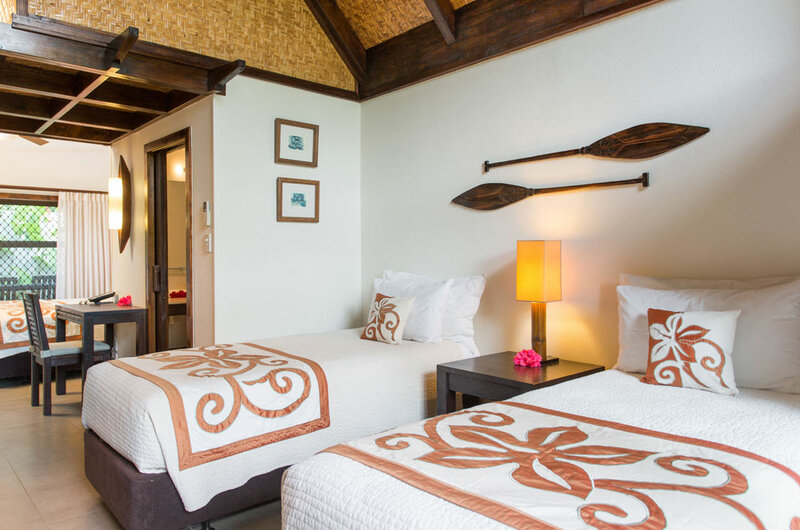 Each room is tastefully decorated in a contemporary Polynesian style and overlooks either flourishing tropical gardens or the gorgeous beach and lagoon. Valid for travel 01 April to 31 May 2019 and 01 November to 20 December 2019 (high season surcharges apply). Sale to 28 February 2019. This is the 2nd time we have visited the resort and every time it exceeds our expectations. 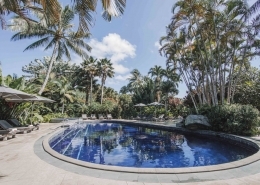 The resort is well maintained, the gardens are lush and amazing. Both rooms we have stayed in have been excellent. The food is nice and breakfast is lovely looking out over the lagoon every morning. The staff are so friendly. But what made this trip extra special was we took our children. The kids club at the resort treated them like royalty and I can’t thank them enough for making my kids smile every single day. Crab racing snorkeling and sandcastle building to name few activities. The beach hut crew are a huge credit to this resort. Thanks for another amazing stay. 40% Off Rates plus Resort Credit. *Terms & conditions apply: Valid for travel 01 April to 31 May 2019 and 01 November to 20 December 2019. High season surcharges apply. Sale to 28 February 2019. Minimum 5 night stay applies. Resort Credit is non-transferable & non-redeemable. Prices shown are a guide only, based on low season availability & subject to change. Price per adult, twin share, valid for new bookings only. Airfare prices will alter depending on travel dates. Other conditions may apply.